Ponytails, braids, twists, and more! 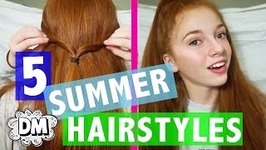 Alyssa has 5 easy summer hairstyles for a when you're running late, or just for a lazy day! 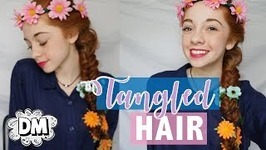 We were totally inspired by the new movie Tangled: Before Ever After, so Alyssa obviously had to do a Rapunzel braid tutorial! Rainbow colored hair has been an on-going trend that we can't get enough of. 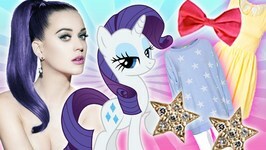 The trend is even better when it's inspired by MLP! Score inspiration from Pinkie Pie, .. 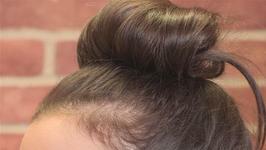 This episode of Hair With Hollie shows you how to emulate the Disney Queen, Elsa's hair. Disney Princess hair is perfection. So what happens when you swap their signature hairstyles? Check out a Disney hairdo switcheroo and awesome celebs rocking Disney hairstyles IRL! Learn hair styling tips and secrets from New York City hairstylist, Maysoon Farage. She will teach you practical and timesaving tricks to keep your tresses looking their ..
My first hairstyle tutorial! Learn how to do my signature side braid for working out! 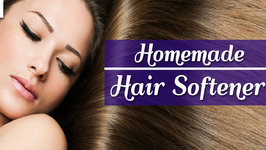 Soften your hair with natural home remedies by using coconut mil, coconut oil, eggs, sesame oil, aloe vera gel, yogurt, mustard oil and olive oil and fenugreek seeds ..